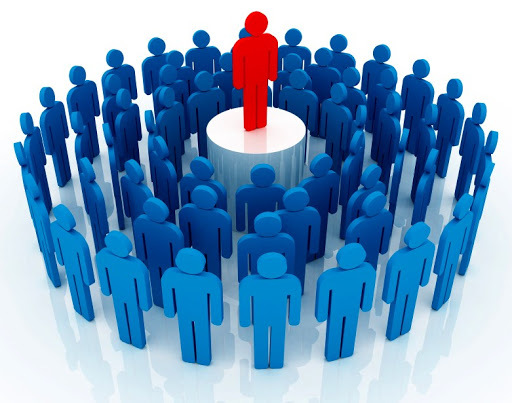 When I speak to smaller audiences, I often ask them to describe the best and worst leaders they have ever worked for. People inevitably ignore innate characteristics (intelligence, extraversion, attractiveness, and so on) and instead focus on qualities that are completely under the leader's control, such as approachability, humility, and positivity. These words, and others like them, describe leaders who are skilled in emotional intelligence. TalentSmart research data from more than a million people shows that leaders who possess these qualities aren't just highly likable, they outperform those who don't possess them by a large margin. Becoming a more likable leader is completely under your control, and it's a matter of emotional intelligence (EQ). Unlike innate, fixed characteristics, such as your intelligence (IQ), EQ is a flexible skill that you can improve with effort. Even in a crowded room, likable leaders make people feel like they're having a one-on-one conversation, as if they're the only person in the room that matters. And, for that moment, they are. Likable leaders communicate on a very personal, emotional level. They never forget that there's a flesh-and-blood human being standing in front of them. Few things kill likability as quickly as arrogance. Likable leaders don't act as though they're better than you because they don't think that they're better than you. Rather than being a source of prestige, they see their leadership position as bringing them additional accountability for serving those who follow them. Likable leaders always maintain a positive outlook, and this shows in how they describe things. They don't have to give a presentation to the board of directors; they get to share their vision and ideas with the board. They don't have to go on a plant tour; they get to meet and visit with the people who make their company's products. They don't even have to diet; they get to experience the benefits of eating healthfully. Even in undeniably negative situations, likable leaders emanate an enthusiastic hope for the future, a confidence that they can help make tomorrow better than today. When it comes to their own accomplishments and failures, likable leaders take things in stride. They don't toot their own horns, nor do they get rattled when they blow it. They savor success without letting it go to their heads, and they readily acknowledge failure without getting mired in it. They learn from both and move on. We've all worked for someone who constantly holds something back, whether it's knowledge or resources. They act as if they're afraid you'll outshine them if they give you access to everything you need to do your job. Likable leaders are unfailingly generous with whom they know, what they know, and the resources they have access to. They want you to do well more than anything else because they understand that this is their job as a leader and because they're confident enough to never worry that your success might make them look bad. In fact, they believe that your success is their success. Likable leaders inspire trust and admiration through their actions, not just their words. Many leaders say that integrity is important to them, but likable leaders walk their talk by demonstrating integrity every day. Even a leader who oozes charm won't be likable if that charm isn't backed by a solid foundation of integrity. Likable leaders know how to read people as unspoken communication is often more important than the words people say. They note facial expressions, body language, and tone of voice in order to get what's really going on with their people. In other words, they have high social awareness, a critical EQ skill. Robert Brault said, "Charisma is not so much getting people to like you as getting people to like themselves when you're around." Likable leaders not only see the best in their people, but they also make sure that everyone else sees it too. They draw out people's talents so that everyone is bettering themselves and the work at hand. Daniel Quinn said, "Charisma only wins people's attention. Once you have their attention, you have to have something to tell them." Likable leaders understand that their knowledge and expertise are critical to the success of everyone who follows them. Therefore, they regularly connect with people to share their substance (as opposed to superficial small talk). Likable leaders don't puff themselves up or pretend to be something they're not, because they don't have to. They have substance, and they share it with their people.